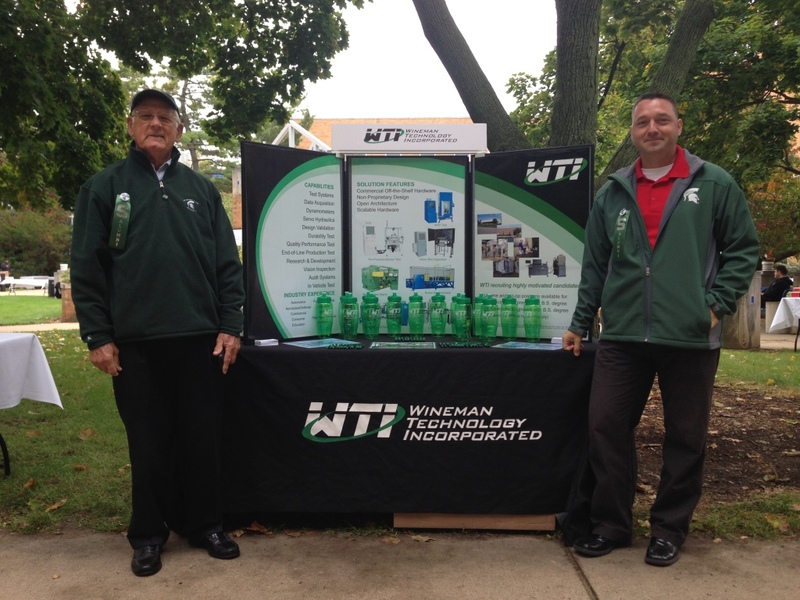 On Tuesday September 29th, Wineman Technology (WTI) will be participating in the College of Engineering Pre-Gallery Co-op/Intern Day at Michigan State University (MSU). The purpose of this event is to offer students the chance to explore companies offering internships and co-op opportunities as well as provide employers with an opportunity to review talent and arrange interviews. Jim Wineman, CEO, and Kevin Markey, Controls Engineering Manager at WTI, both proud MSU alumni, at the 2014 Engineering Pre-Gallery Co-op/Intern Day.